Love the box! Thx so much. Still praying for you guys. I work a double tomorrow too. We just lost our Internet connection in our area (I am using my hotspot with kindle right now)... bad thing is, kindle doesn't allow everything so I cant get to my govt email for my job location directions for tomorrow... they don't expect it back up tip 4 am which is... okay... but I am usually on the road by then or shortly after... I will be winging the trip tomorrow and hope once I get to the city itself, I find my way by stopping in at gas stations. I don't have gps... just cant see myself adding that expense since it is not a write off. Thank goodness I have blog access and the forum does come through no probe on my kindle. Btw, in that 3rd pic, are those ornaments in the box? 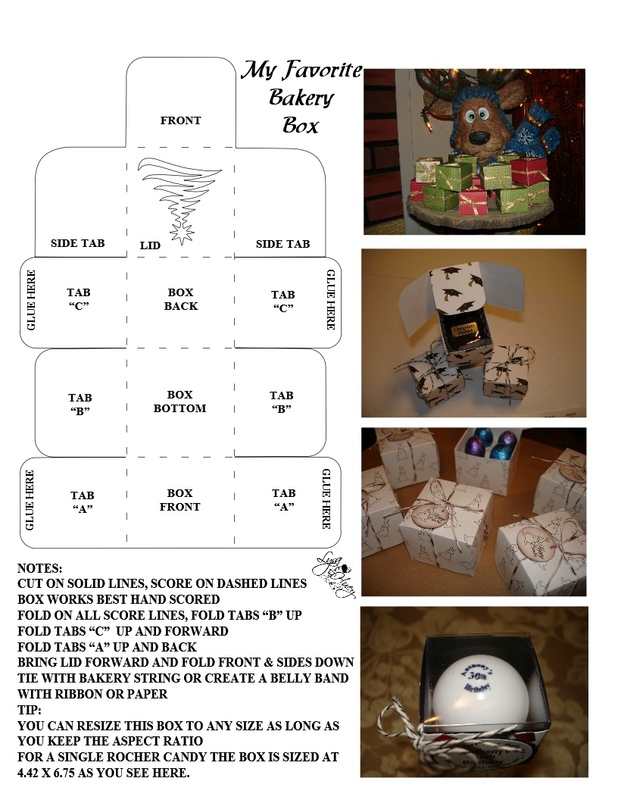 I am trying to make a good strong ornament box for mailing... I will use bubble wrap too but that is what I have been doing. Beaded ornament covers and some I have included the glass ornament with so the coordination stays... not sure if everyone has the colors I meant to go for some of the wraps. I am trying to use some thick cardboard and make it still strong enough to stay box shape as well as keep ornament in position while in the mail... will see how it goes. If I am not sattisfied I will wrap them in individual sturdy plastic containers as well as bubble wrap and then put in a box to send. Lysa, keeping you in my thoughts. Thank you for sharing another great file. They are greatly appreciated! 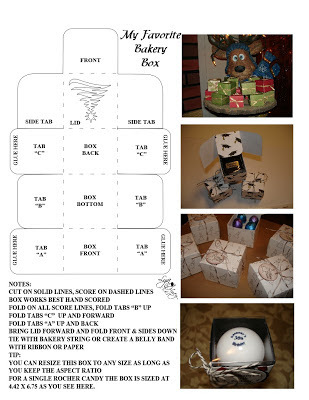 Thanks for your comments, Enjoy the bakery box, you will love making them. Was suppose to work a double today but our building lost power so we had to shut down. I heard 7 transformers blew. I feel so bad for all that just got their power back. It is snowing and starting to stick. UGHHHHH, snow before Thanksgiving, not a good sign. Can't wait to upload my next box I think you will all love it so check back soon and again thanks for your comments.